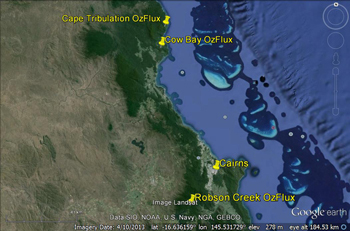 The Cow Bay flux station was established in December 2008 and is located at the Daintree Discovery Centre at Cow Bay, 100km from Cairns in Far North Queensland. 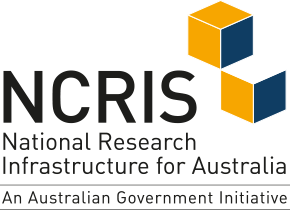 It is managed by James Cook University staff in a collaboration with the Daintree Discovery Centre who co-fund the project. The site is part funded by the Terrestrial Ecosystem Research Network (TERN) as a TERN Ozflux station. 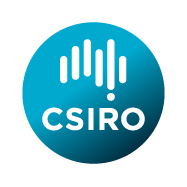 Past support was from the Department of Environment and Heritage - Marine and Tropical Sciences Research Facility Project 5ii.2. Climate Change: Scaling from trees to ecosystems.